A language that sports car fans understand worldwide: our dynamic design language. 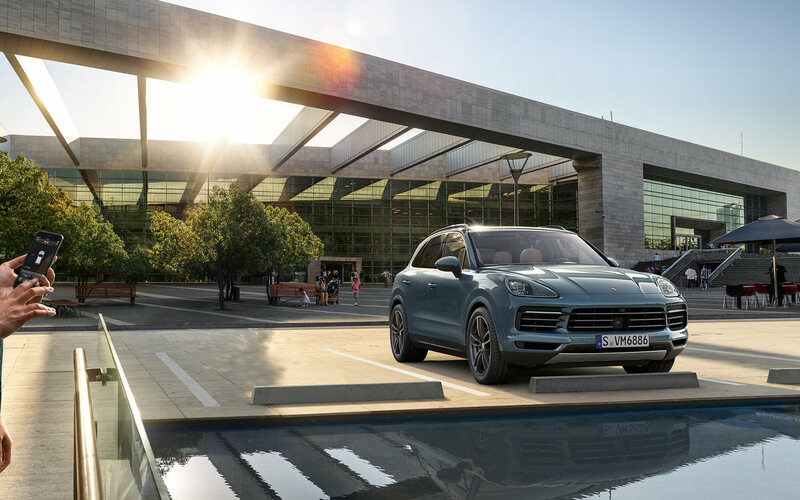 The design of the Cayenne boasts the typical Porsche distinguishing features; the heavily emphasised front wings, the long sloping bonnet with power dome, and the characteristic three-piece air intakes, which are even larger and more dominant. The LED main headlights have an optional new LED matrix beam. 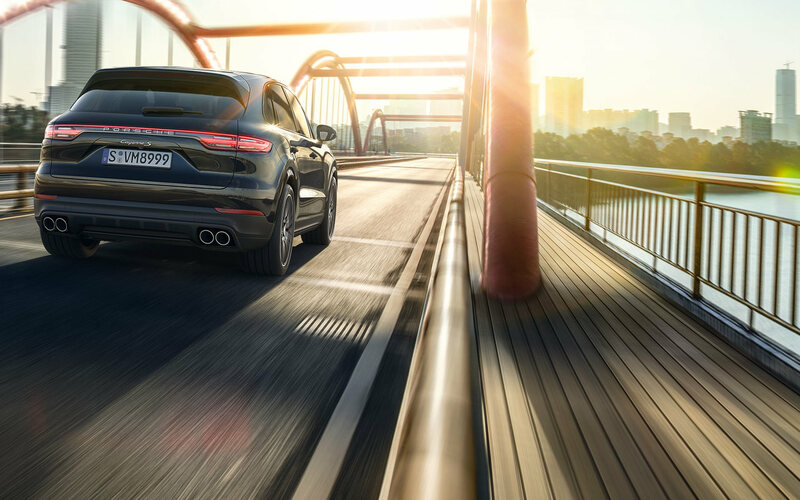 In profile, the Porsche silhouette is unmistakable. 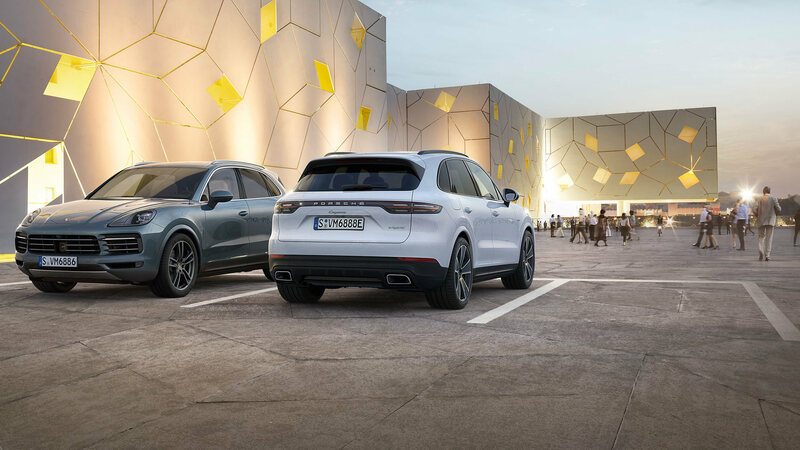 Sharper lines, newly styled doors and new, optional 22-inch wheels, with wider section rear tyres available on the Cayenne for the first time. 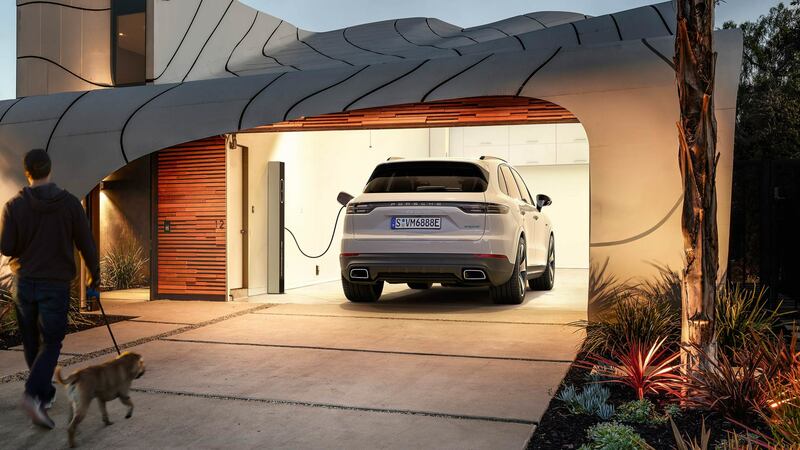 The front apron has also been redesigned and powerfully styled. These are further details that enhance the overall sporty impression. 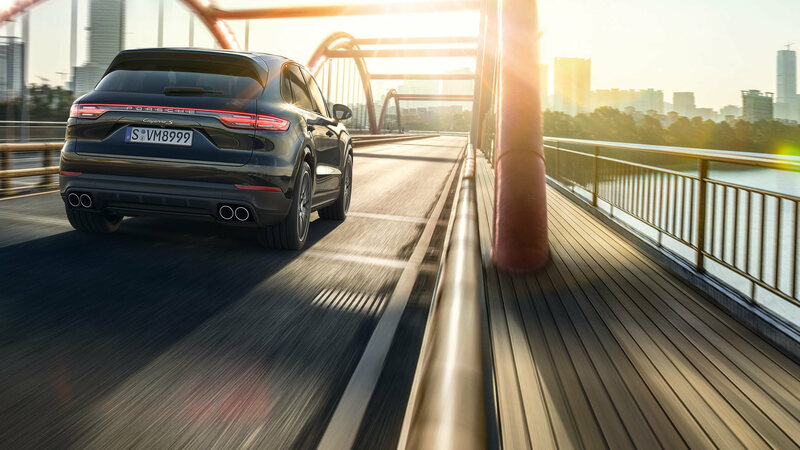 The Cayenne is more broad-shouldered, muscular and dynamic compared to its predecessor. 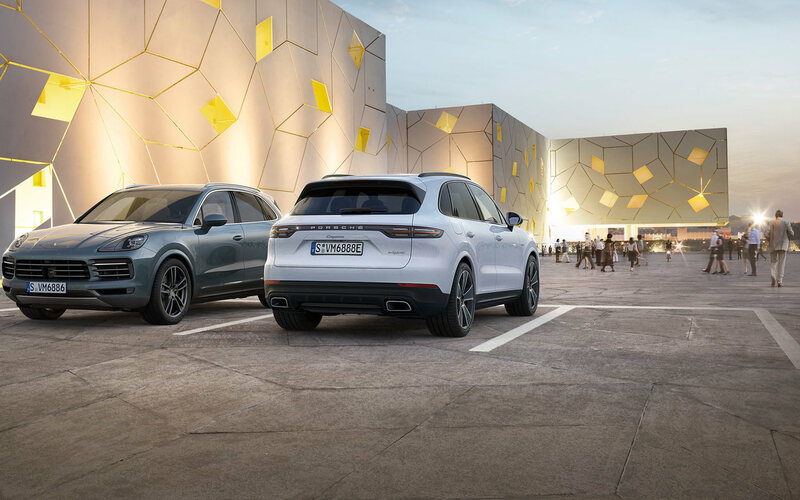 The rear has been completely redesigned, with attention drawn directly to the striking light strip, extending over the entire rear and elegantly emphasising the presence of the new Cayenne. 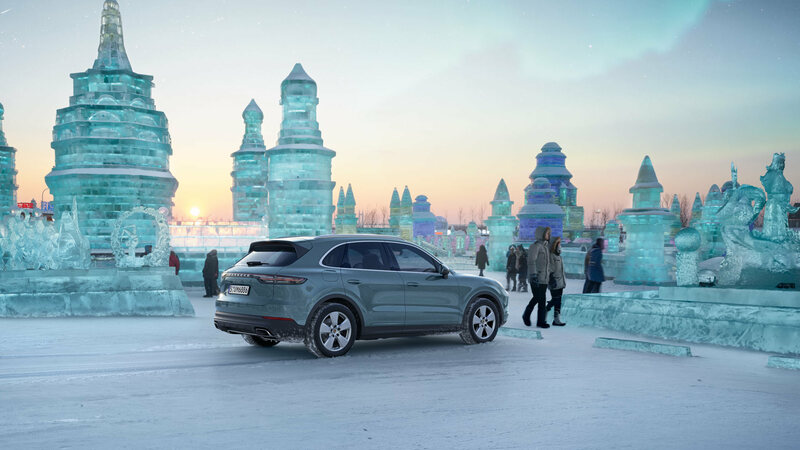 The taillights use state-of-the-art precise LED technology, and adopts the design concept of the headlights. Their single light elements are recognisable as three-dimensional bodies. Another highlight of the vehicle design. The Porsche DNA: our origin in motorsports. That is where we have learnt how important it is to bring vehicle and driver closer together. The interior is built practically around the driver, and is completely focused on them. The rear seats trigger motorsports emotions, without compromising on comfort. With high quality, sporty, ergonomic from the flat, broad dashboard and ascending centre console, to a multifunction sports steering wheel and gear selector. All models impress with the typical Cayenne strengths: spaciousness, and a high degree of variability. There are also numerous personalisation options. 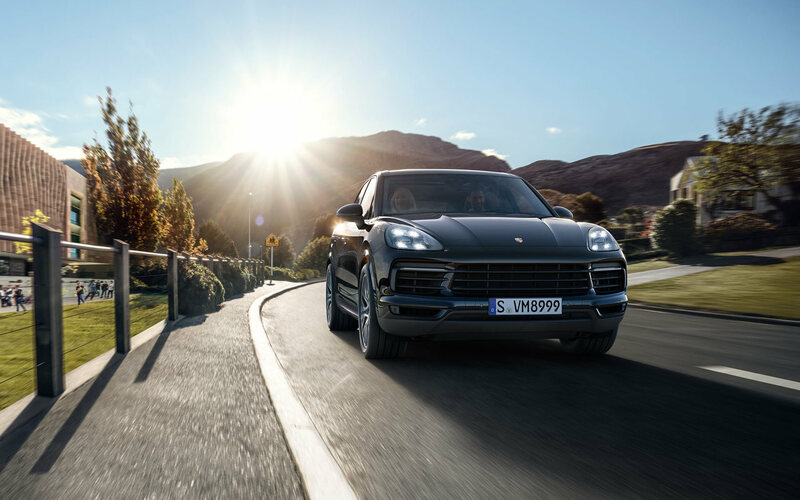 The Cayenne generation of engines and the new 8-speed Tiptronic S transmission have been redeveloped completely from scratch and now offer even greater performance. Combined with a further improvement in efficiency. The Sport Chrono Package, including mode switch provides an even more sporty tuning of chassis, engine and transmission. The mode switch with SPORT Response button on the steering wheel, derived from the 918 Spyder, allows you to choose between four driving modes: ‘Normal’, ‘SPORT’, ‘SPORT PLUS’ and ‘Individual’; allowing you to tune your car more personally to your driving style. 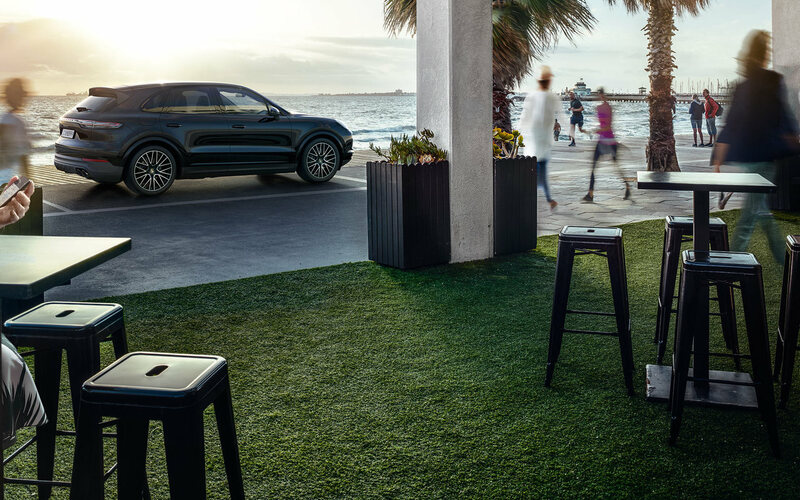 Sometimes there are several ways to get to our destination, due to new developments such as the adaptive air suspension with three-chamber technology or the rear-axle steering. 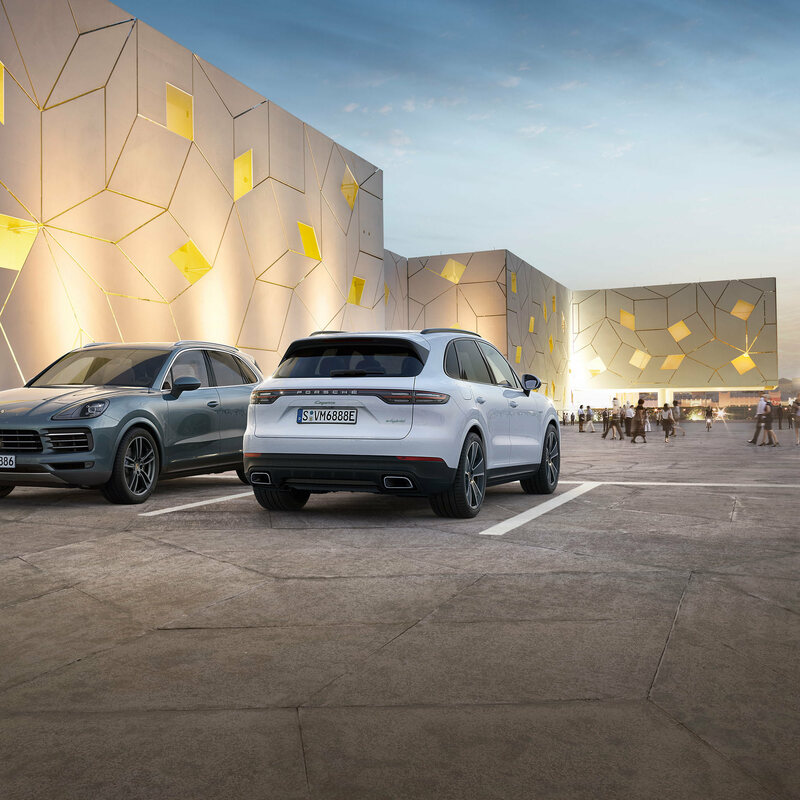 With a new integrated chassis controller: Porsche 4D Chassis Control, which centrally analyses the driving situation in all three spatial dimensions – the pitching, rolling and yawing motion. 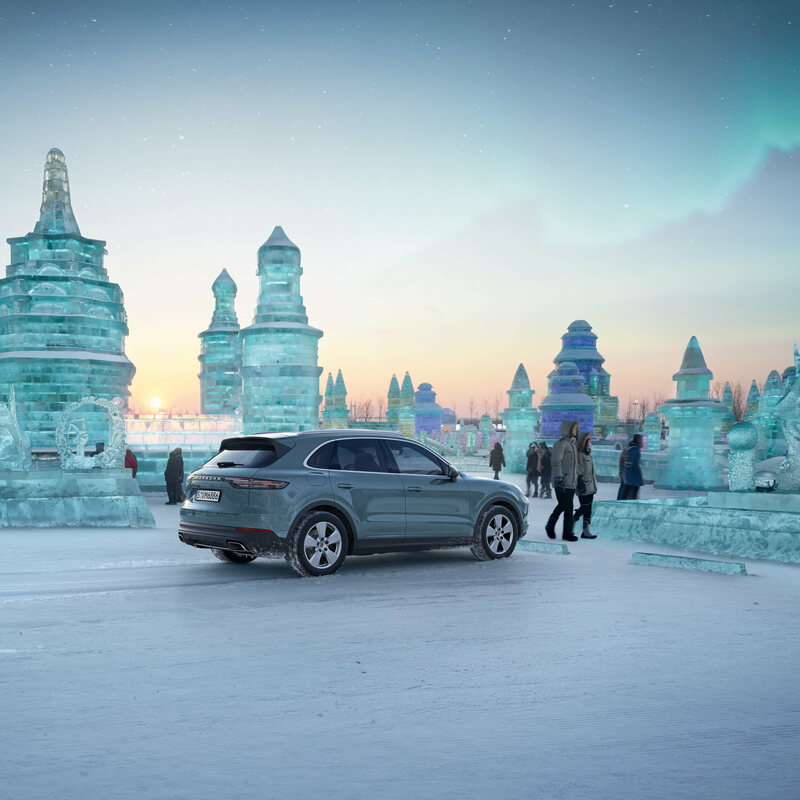 It calculates the best driving conditions and synchronises all chassis systems in real time - the fourth dimension. For optimised overall performance with a combination of sportiness and comfort. Porsche Surface Coated Brake (PSCB) - a new benchmark in performance and design. The innovation of this brake lies in the unique combination of a cast-iron brake disc with a ceramic coating (tungsten carbide). The advantages - an even better response and a particularly high fading stability. Thanks to the new surface coating, the brake disc remains glossy even after a longer period of standstill. White painted brake calipers lend the brake its unique look. 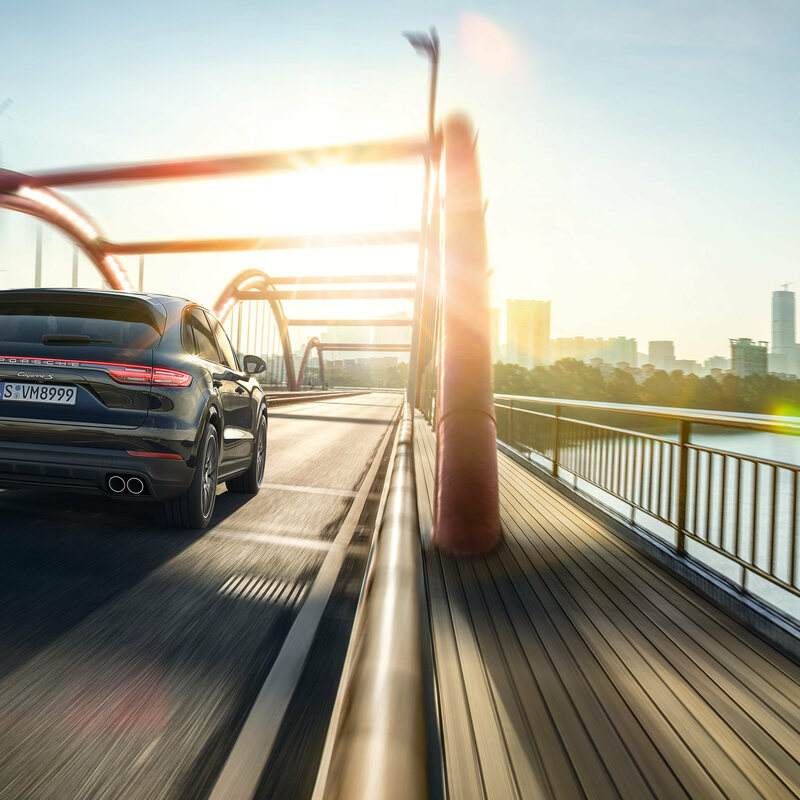 For the first time in the Cayenne models - optional rear-axle steering. 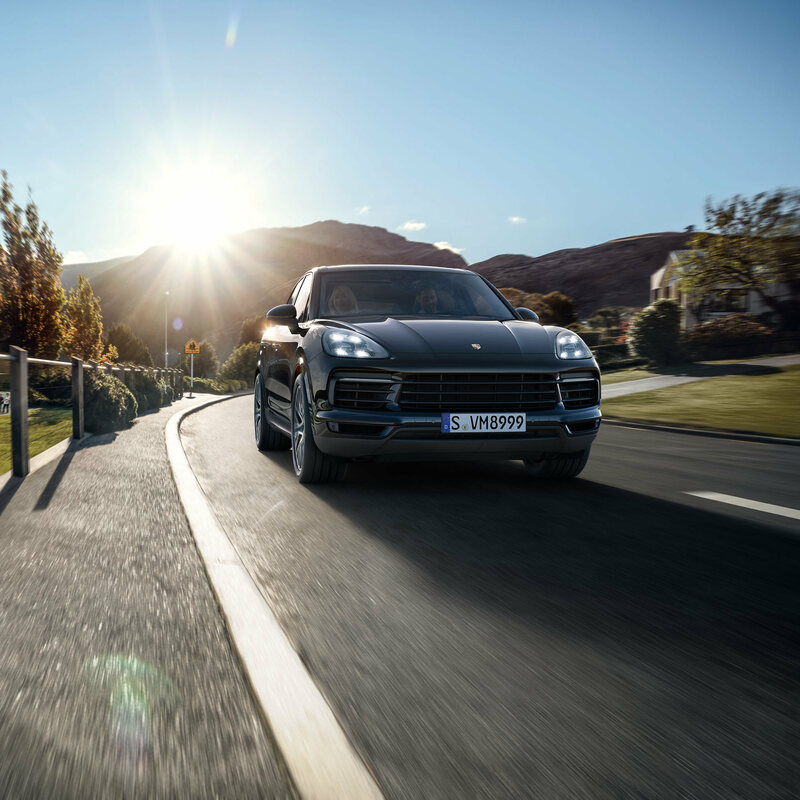 It enhances performance and everyday driveability in equal measure. At low speeds the turning circle is reduced, the agility is increased and parking is noticeably facilitated. At higher speeds the system increases driving stability. 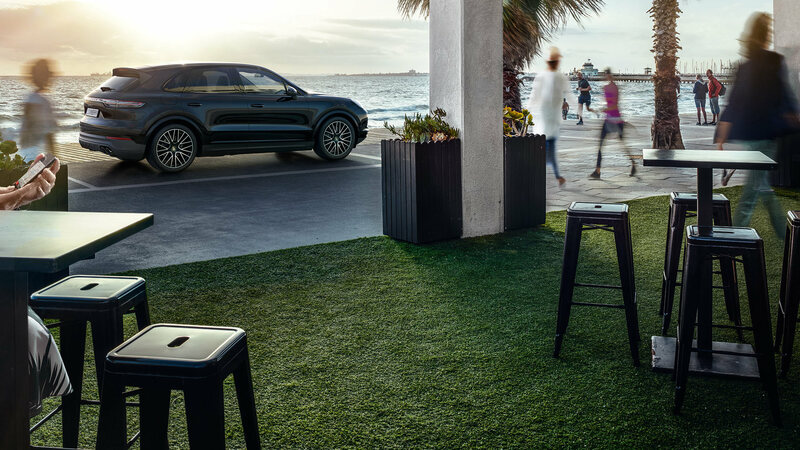 The result: greater manoeuvrability and driving safety in everyday life – and a significant increase in maximum driving performance. 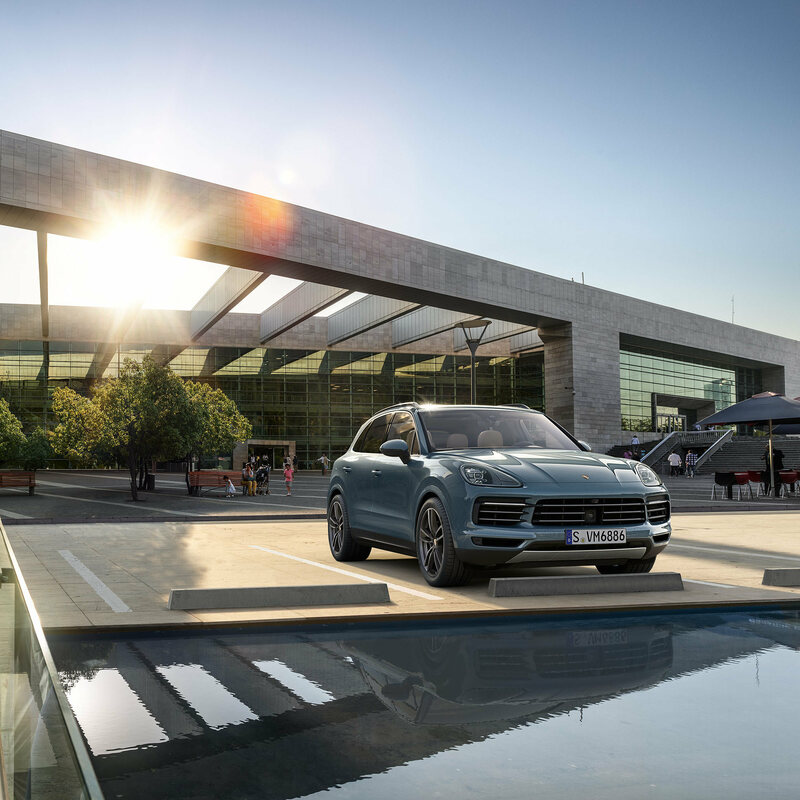 New in all Cayenne models: the Porsche Advanced Cockpit control concept. The centre console with Direct Touch Control features an interface in glass look with touch-sensitive buttons for direct access to the most important functions. Among these, the compact gear selector. On the right and left of the typical Porsche analogue rev counter – classic with a needle – two high-resolution displays show all the virtual instruments, maps and other information as required. 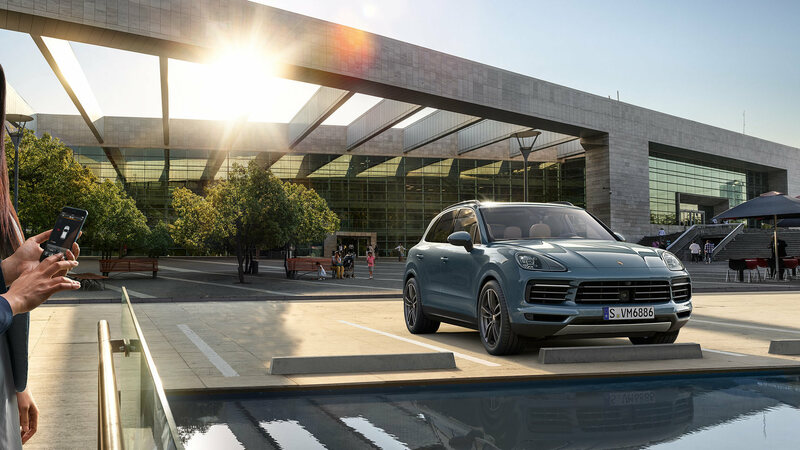 So that you reach your destination more safely, comfortably and efficiently, the Cayenne has numerous assistance systems that are used in many different driving situations. The assistance systems not only relieve and support you in a comprehensive way, they also recognise risks and warn you in good time. 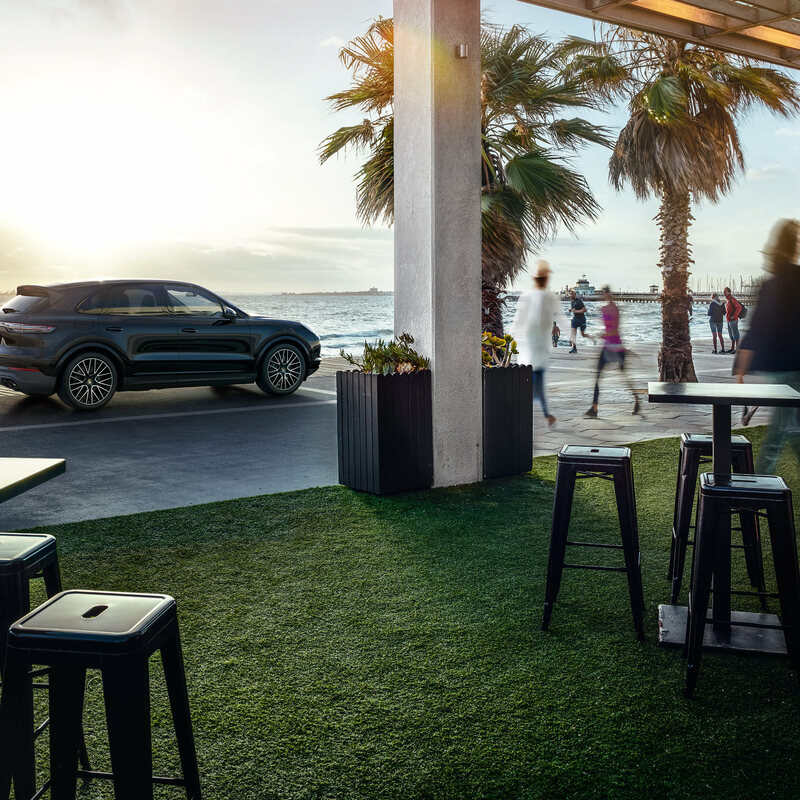 This means you can concentrate on what makes Fascination Porsche so unique - the unadulterated driving experience. Get the most out of your everyday – whether its a decisive business meeting or a trip with the whole family, it is important to make the most of your time. 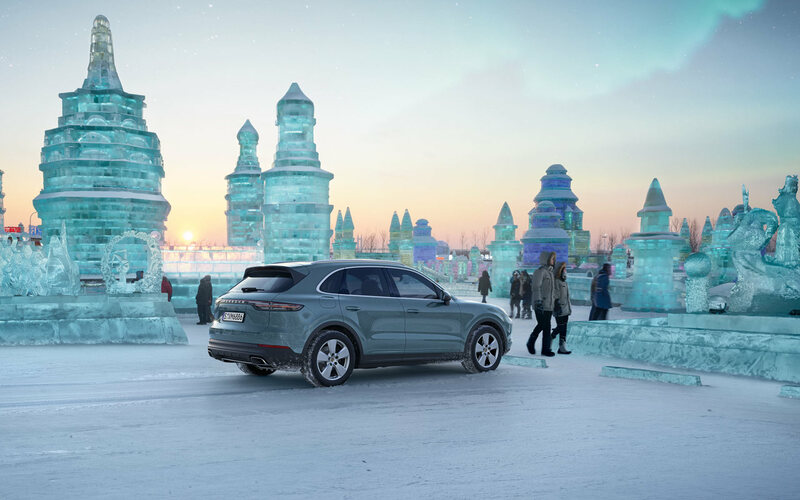 Porsche Connect can help you here, by putting you in the ideal starting position for any road trip. 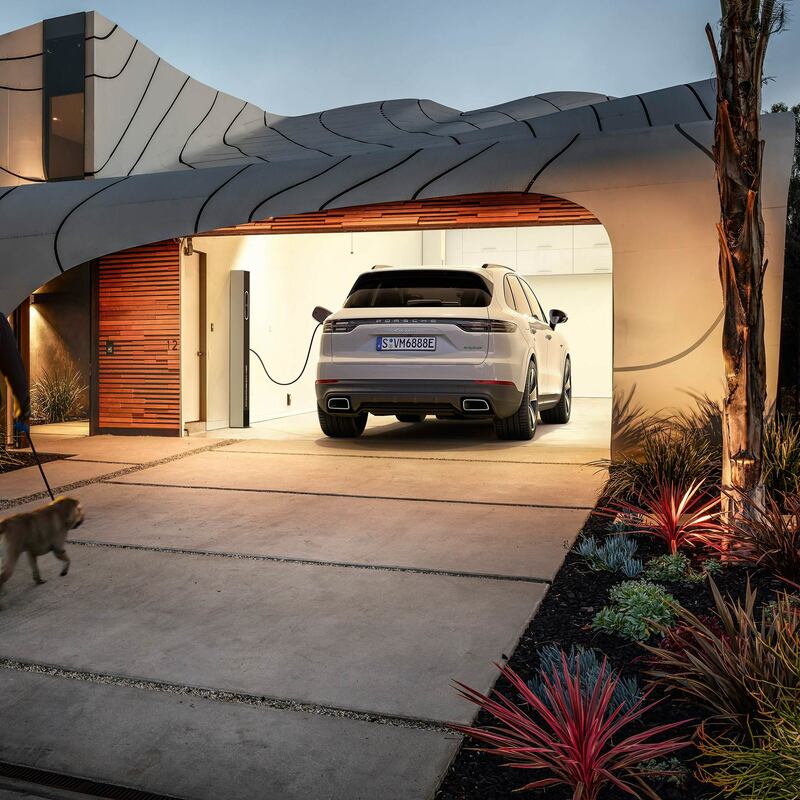 With new, helpful services and smartphone apps that make life easier for you in many ways, for example, with the new Porsche Connect app, which combines all the Connect features in one smartphone app. 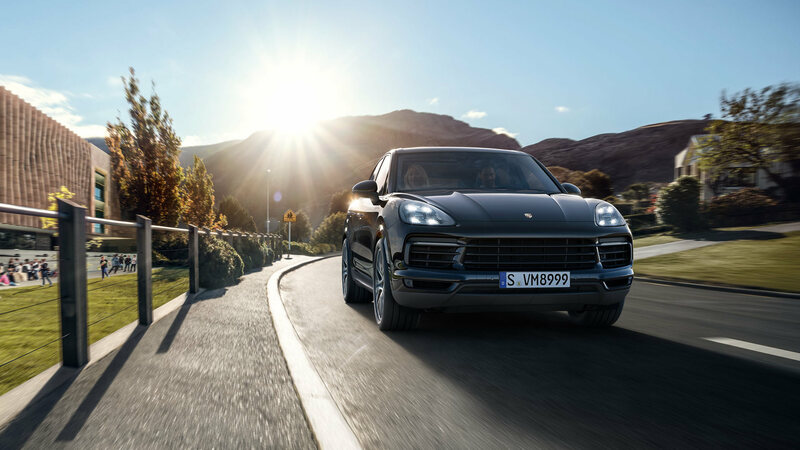 Whether remote control of your Porsche, navigation to your vehicle or from your Porsche to a final destination. 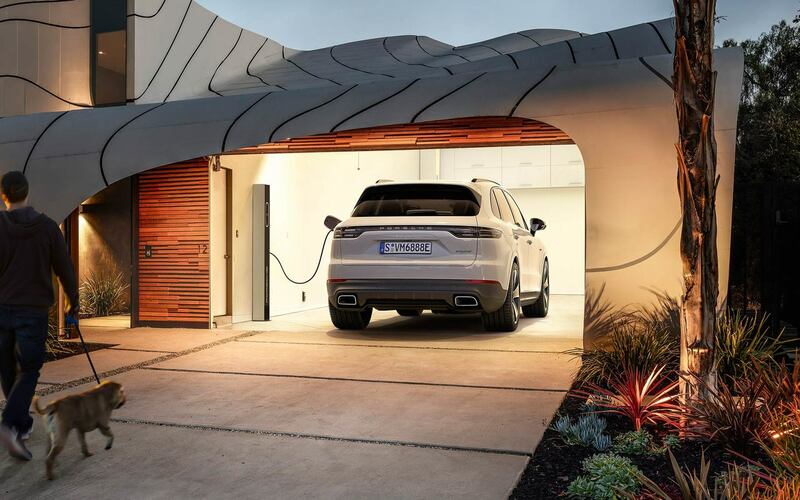 Learn more about Porsche Connect and all its versatility with services, apps, and features online, including availability information for your vehicle and your country. Our portfolio of services is constantly being expanded: visit www.porsche.co.uk/connect for all the latest information. This model is currently not available for configuration as a new order. Please contact your preferred Porsche Centre for availability.